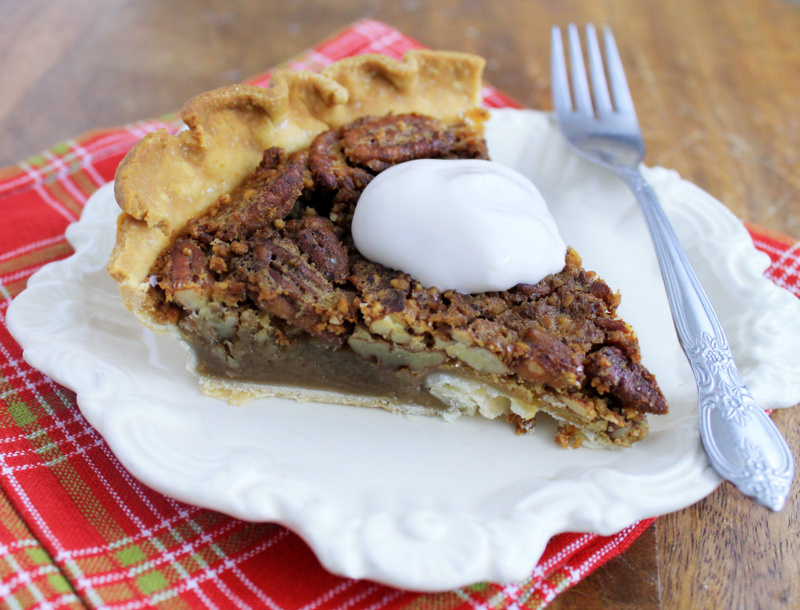 This recipe calls for traditional pecan pie ingredients, except it avoids high-fructose corn syrup and instead uses our Lil’ SHUGA! which is made with an all natural and organic blend of cane and stevia. Lil’ SHUGA! is two times sweeter than regular sugar, and has a balanced composition of fructose, sucrose and glucose, giving the pie the same amount of sweetness for half the calories than traditional pecan pie. Overall this recipe calls for less sugar and butter than traditional recipes but has nothing to envy them as the consistency and taste is amazing! To make it, get your pie crust ready (we used good quality store bought to save time), mix all the ingredients together, add pecans, and place mixture in pie pan before baking it. Our other trick to save on calories, is to not use granulated sugar or brown sugar. Lil’ SHUGA! has the molases tones needed to give pecan pie depth of flavor plus we pulverized some pecans to help with the consistency traditionally given by granulated sugar. After baking in the oven for 40 minutes, you will get a low-calorie pecan pie that it’s better than many traditional pecan pies you’ve had before. Serve with ice cream or whipped cream, enjoy! Place pie crust sheet in pie pan. Set aside. Mix all of the ingredients (except pecans) until ingredients are well combined. Add pecans and place on pie pan. Add extra pecans if you desire. Let pecan pie cool at room temperature before serving.